When you first see Neptune’s Seafood Pub in North Beach, you don’t think fine dining. It looks like a fun neighborhood place to grab a drink and a pub snack, and it is, but it is so much more. The menu reads more like a trendy bistro with items like Crab Tater Tots, Tuna Bites, and Dill Havarti Crab Dip. You can find favorites like buffalo wings, garlic bread, salads, and soups, too, but the chef sprinkles some unique offerings in with all the classics, making Neptune’s a fun place to explore. On my most recent visit I ordered the house salad and an appetizer called Cajun Catfish Bites. I forgot that Neptune’s believes in generous portions in everything they do! 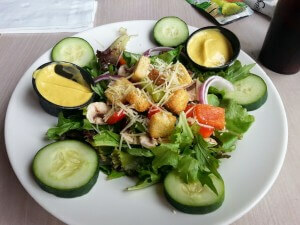 My house salad, as you can see in the picture, was huge and full of tasty vegetables. The Cajun Catfish Bites seemed to be an entrée on their own, and I wasn’t able to finish my entire plate. 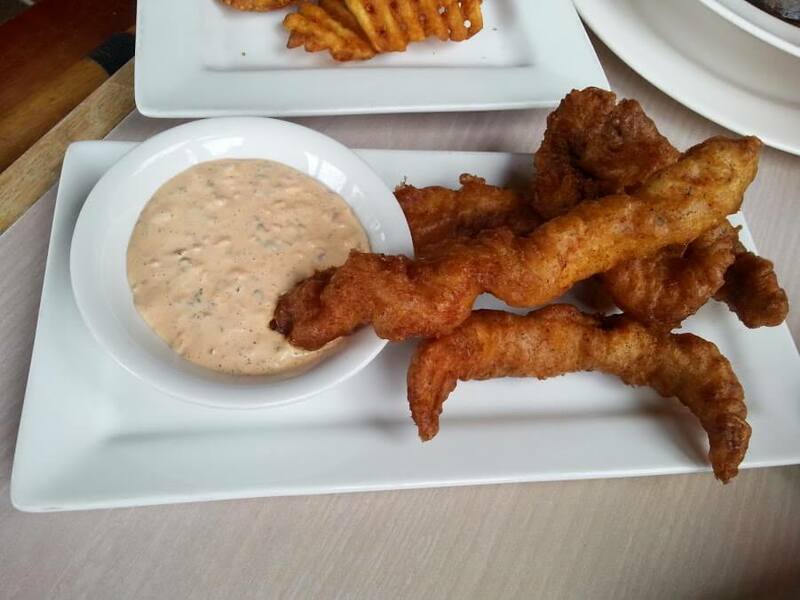 They were fresh and crispy, served with a homemade spicy remoulade that I thought about boxing up to bring home with me. My friend ordered the Prince Edward Island Mussels with marinara sauce, and I think she would have licked the plate if she could have. The marinara was homemade, thick, and chunky. 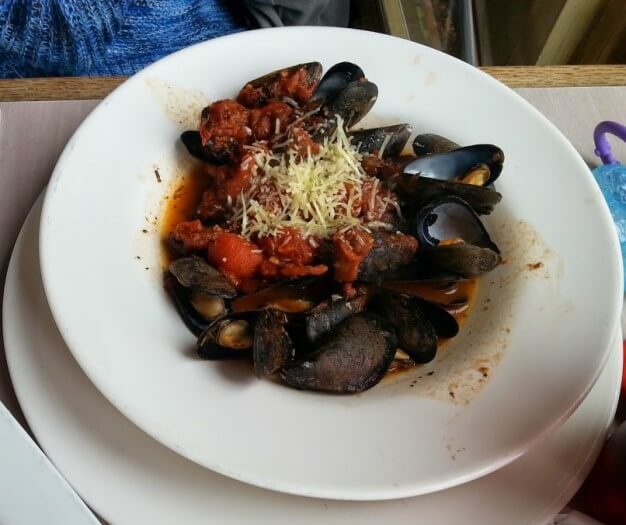 Next time I go, I plan to try the mussels, a pizza, or one of their pasta dishes so I can try the marinara. I highly recommend Neptune’s for families and as a local date spot. They have a nice variety of choices on the kid’s menu, and they offer several items on the regular menu that older kids can enjoy like a Build Your Own burger or Crab Cakes. We’ve ordered the Zucchini Straws as an appetizer for the family, and they are a delicious way to start a meal and get a serving of vegetables in! Next time you’re in North Beach around lunch or dinner time, give Neptune’s a try. If you enjoy classics with a modern twist, you will love their food as much as many locals do.